Over the weekend I ordered the veggie wrap from our lunch spot, and it was to die for. When I got home I looked up a copy cat version and found that it was loaded with just as many cheeses and sauces as it was vegetables. For dinner this week I played around with creating a lightened up version that still tasted just as delicious, and I think I hit the bullseye. 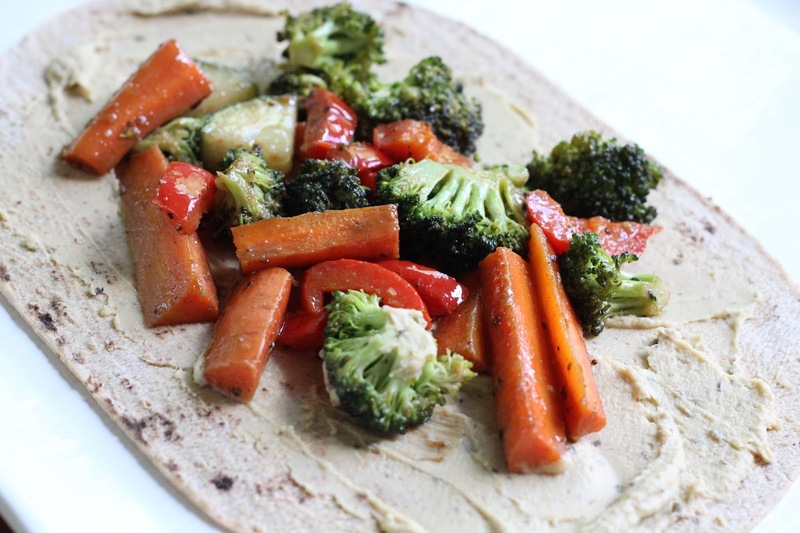 There’s something about the crunchiness of the carrots, the tanginess of the vinaigrette, and the creaminess of the hummus that just makes this a winner! 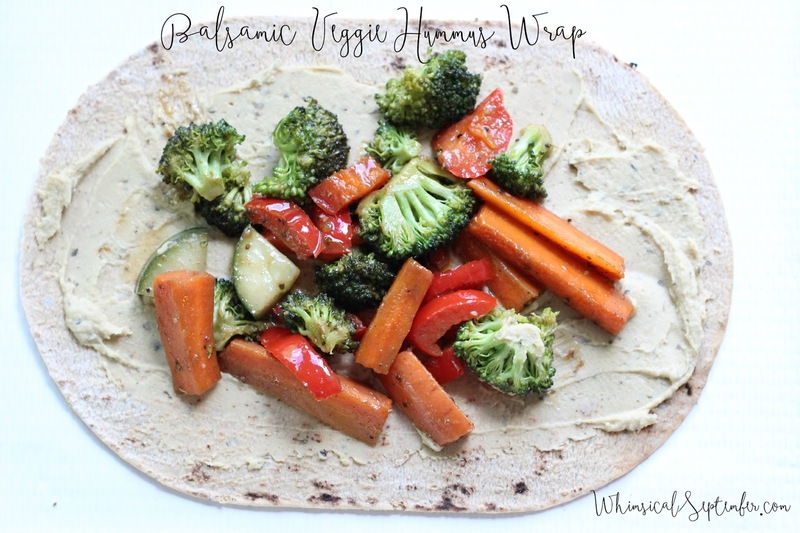 Not only is this wrap loaded with good stuff, but you’ll surely be going back for seconds! I’d suggest making extra. Saute vegetables in two tbsp of olive oil for 20-25 minutes on low heat. Add vinaigrette and saute additional 2 minutes. Warm tortillas in microwave for 10 seconds and spread on layer of hummus. Add vegetables and enjoy.